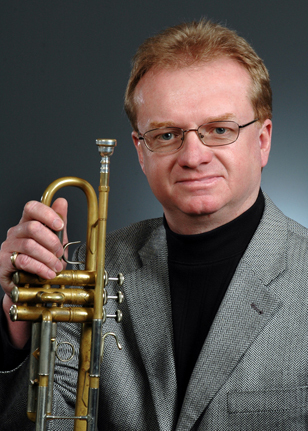 Jim Lewis is a freelance trumpet player, improviser, composer/arranger and currently a Lecturer at The University of Toronto. In 2004 he completed a Masters Degree in Performance (Concentration in Jazz) at the University of Louisville, where he studied trumpet performance with Dr. Michael Tunnell, composition and arranging with John LaBarbera and improvisation with Jamey Aebersold. Jim is the Musical Director of the Ottawa Jazz Festival’s annual ‘Youth Jazz Summit', and the ‘Galaxie Rising Stars’ bringing together Canadian jazz students aged 17 – 22 to rehearse, workshop, and perform during the Ottawa Jazz Festival. 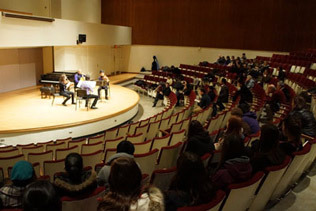 He has adjudicated festivals and presented workshops across Canada and in the U.S.A., including clinics, a research paper and performing groups at the International Association of Jazz Educators Conferences in Chicago, New York, Anaheim and New Orleans. Jim’s early performance credits include Rainer Weins’ Silk Stockings (Donde esta el Mercado). Over the years Jim has performed and improvised with some of Canada's finest improvisers, and is currently a regular member of the Frank Lozano Group (Colour Fields), Christine Duncan’s Element Choir (Live at Rosedale United, Element Choir & William Parker – At Christ Church Deer Park), Mark Segger Sextet (The Beginning), an improvising trio with Andrew Downing and Jean Martin (On a Short Path From Memory to Forgotten) and the Juno (2015) nominated Bristles Trio with Andrew Downing and David Occhipinti (Bristles). In 2014, he was featured at the FONT (Festival of New Trumpet Music) Canada Festival in Montreal. Jim can be heard in clubs in the Toronto area, and across the country as a sideman with various other groups, and has played Jazz Festivals across Canada, and in the United States and Europe, with many of Canada’s most creative jazz musicians and improvisers.